Join us to celebrate Venezuelan Independence Day! FREE Admission! In order to properly plan for this event, please kindly RSVP on this link if you plan to attend. Casa de Venezuela is pleased to invite members, friends, supporters and the community at large to celebrate the Independence Day of Venezuela on Tuesday July 5th. 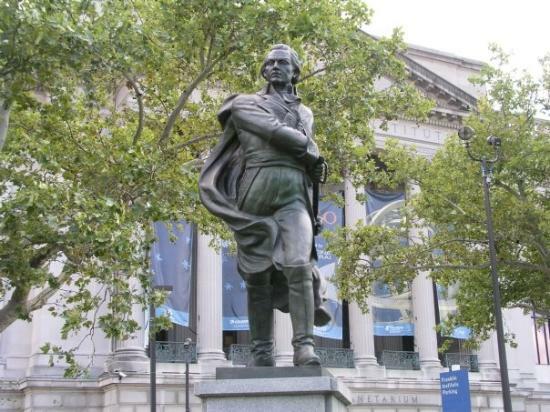 The 200th Anniversary of the Independence of Venezuela will start at 6:00pm with a solemn Floral Wreath laying at the Francisco de Miranda square, located at Benjamin Franklin Parkway and North 20th Street, next to the Franklin Institute. Followed at 7:00pm with a cocktail reception at Mexican Post, located few blocks from the square. (1601 Cherry Street, Philadelphia, PA 19102). The leadership of Casa de Venezuela will take the opportunity to announce the activities planned for the rest of the year to celebrate this historic milestone. For more information, please contact Liselotte Harrity (215-519-6206) and/or Emilio Buitrago (610-457-7975). On July 5th, 1811 the Independence of Venezuela was declared by an autonomist movement of the Caracas Council, which ended the nexus with the Kingdom of Spain. According to testimonies of that time, after the proclamation there was a spontaneous manifestation, led by Francisco de Miranda, along with members of the Patriotic Society and the people, and walked the city's streets fluttering flags and shouting Liberty celebrations.